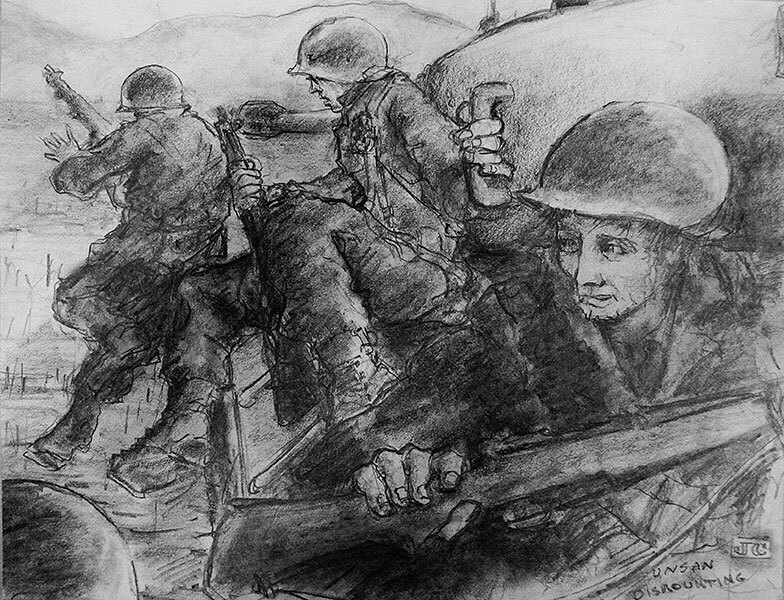 Korean War Veteran John A. Cook's "Midnight Drawings"
Working intermittently for forty-six years, Korean War veteran John A. Cook, who served as Sergeant, Company G, 5th Cavalry, 1st Cavalry Division, coped with his Post-Traumatic Stress Disorder (PTSD)* through what he called his, "midnight drawings." The Korean War cost the cost the United States 33,686 lives, with over 4,000 MIAs. 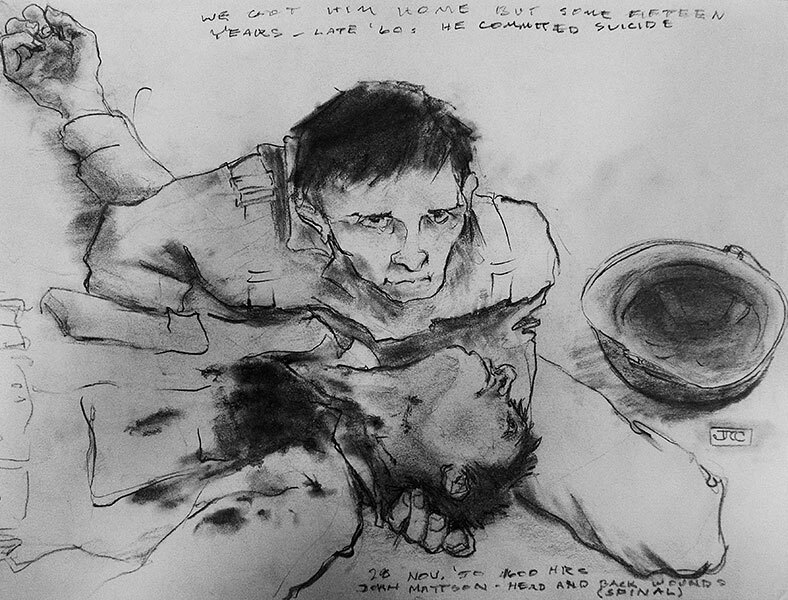 Mr. Cook's vivid and haunting memories came to him in the middle of the night, prompting him to draw as a means of release. 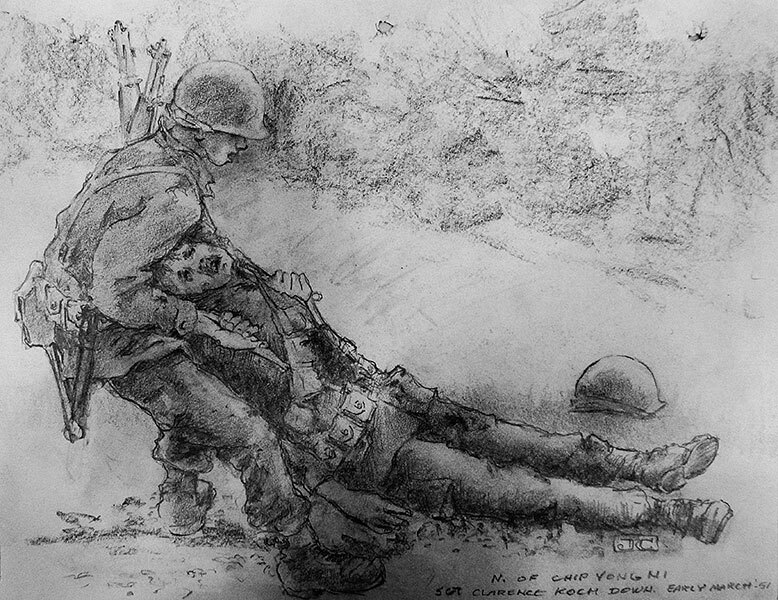 The young sergeant served from mid-September 1950 to June 1951 and was awarded a Purple Heart for wounds he received. 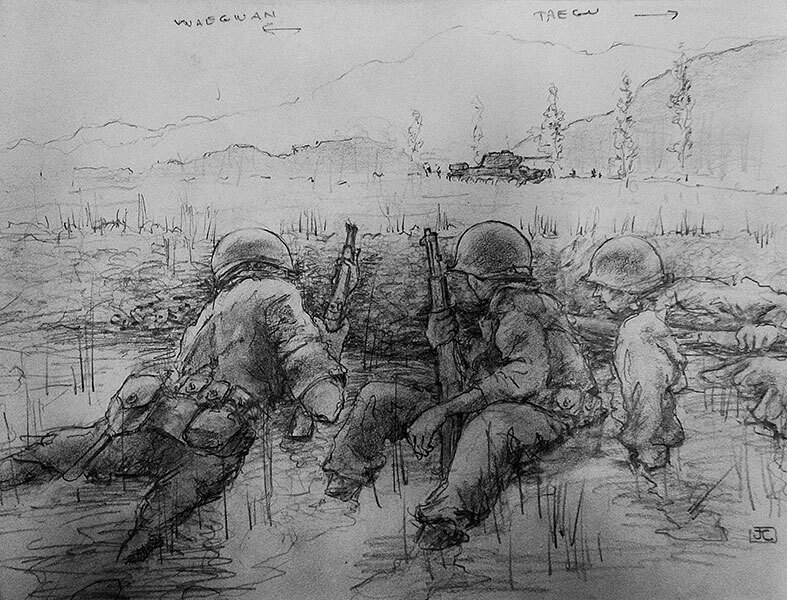 Cook intended his drawings to serve, not only as a tribute to American veterans of all wars, but particularly to those who served in Korea. *In his interview with the Centre Daily Times (State College, PA), Mr. Cook stated that he suffered from PTSD after returning home from Korea.